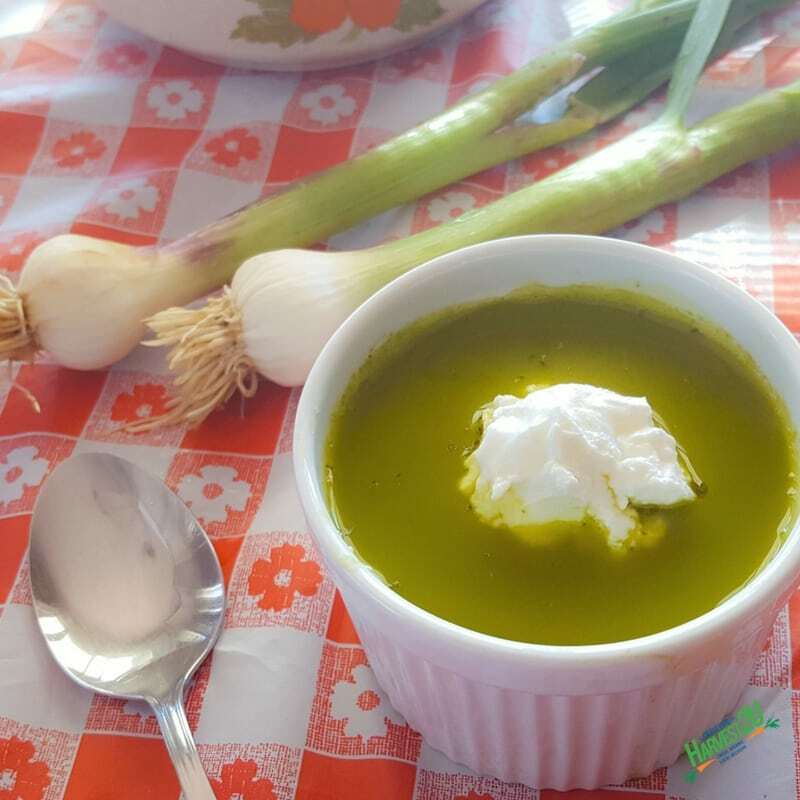 This Spring Garlic Kale Soup is loaded with wonderful spring produce and cooks up in less than 20 minutes. Spring garlic (or green garlic) is merely immature garlic that is removed by the farmer to give the other plants more room to grow. It has a slightly milder garlic taste, and you can chop up the softer green stem like you would other alliums like leeks and green onions. If it isn’t in season, use a few cloves of garlic instead. Use any green you desire from kale to spinach to chard, each will add a unique flavor and slightly different nutrition. Though all greens are loaded with lutein, antioxidants, and fiber. Add spring garlic, oregano, and rosemary. Saute for 2-3 minutes until garlic begins to turn translucent. Add broth and juice from the lemon. Cook for 5 minutes. Add kale leaves and cook until leaves are tender about 5 minutes. Use an immersion blender to puree. Or put into blender or food processor and blend. Always use organic fruits and vegetables in these recipes. Do you live in one of these Southern California Cities? Aguanga, Fallbrook, Hemet, Homeland, Lake Elsinore, Menifee, Murrieta, Temecula, Wildomar, or Winchester. If you do, you can use the local organic fruits and vegetables in our harvest boxes for these recipes.